Install on the 4 is pretty easy. Getting the center fan in and out is a slight hassle, but not worth a ding. They claim 250 watts, at 4.4Ghz, 1.24 volts, I'm pulling 235 watts on a 4790k and just hitting 100 degrees while running the small FFTs on P95. With BFV turned up pretty high, I'm seeing 4.4Ghz, 1.1x volts, 115 watts, and 59 degrees. This thing is HUGE. YOOG even. Moved the front fan up a notch, and no problem clearing my Ripjaws with the heat spreaders. Almost don't need an exhaust fan either, the rear of this thing just about backs up to the spot in the case for it, but there is enough room for both in a HAF XB. Overall, my only concern might be the thermal paste, looks like a no name, hopefully you've got some diamond IC laying around. 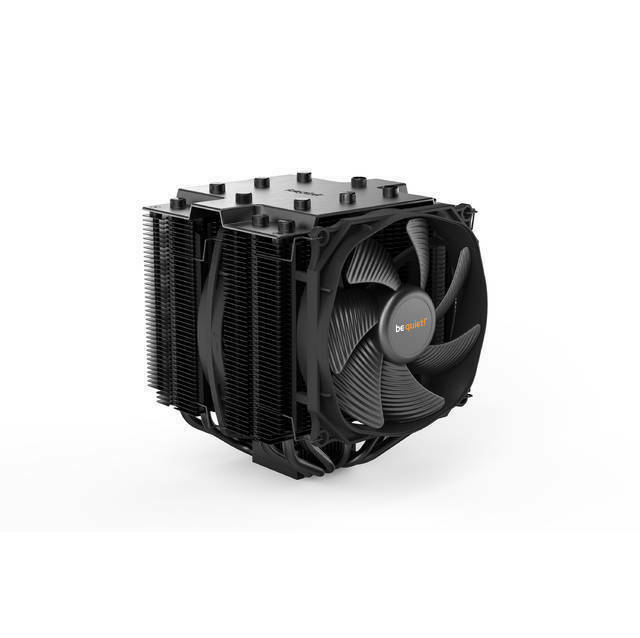 One of the best coolers if it is compatible in your system. Absolute beast in terms of performance and how quiet it is. The black color makes it looks very classy as well. Love the screwdriver that it comes with. Installation process is so much easier. Motherboard and RAM compatibility is very very limited because of how bulky it is. Must take motherboard out of the system when installing. Pros: Astounding cooling performance. Best looking cpu heat sink around. Fairly easy to mount. Makes very little noise. Cons: A tad expensive. Component clearance can be an issue. Fan mounting can be a little fiddly.